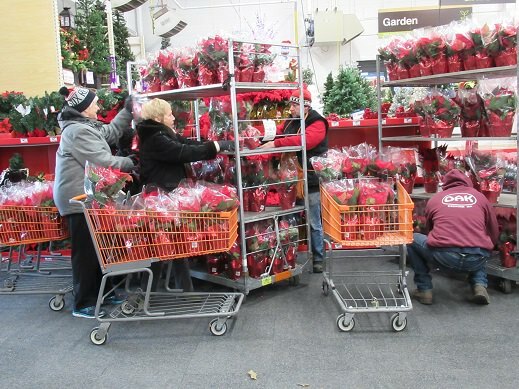 “We talk about the Black Friday Poinsettia at Thanksgiving dinner, one customer told me “ we planned our day around the Home Depot, picking up poinsettias and wreaths then going home and unload…too cold to leave poinsettias in the car with these temperatures” she said. 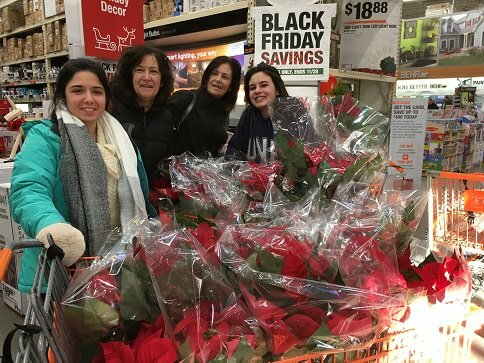 “It’s a family tradition to start Black Friday at Home Depot, it is a generational thing now,” a lovely grandmother told me, surrounded by her daughter and granddaughters, “thank you for serving coffee the youngest of the group said, late night early morning” she said with a smile! 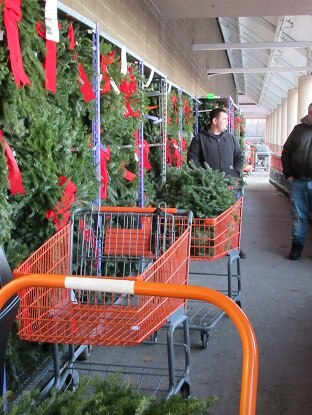 Once I get past the shadow Black Friday casts on "Thanksgiving Thursday", Black Friday is one of my favorite days to do my job. 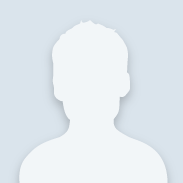 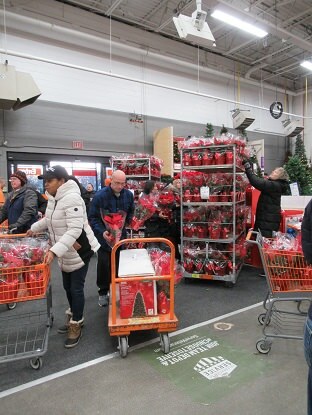 Working in the garden department, I am pleased to be the one pushing the poinsettia carts and rolling out the Black Friday wreaths with the traditional red bow….I mean really, I feel like Santa! 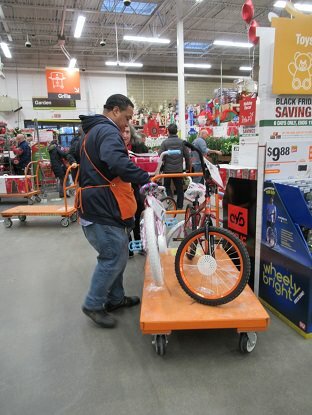 Most of the shoppers who were at the doors on Black Friday came for garden goods, wreaths, poinsettias, Christmas trees and the great deal on the Black Friday snow blower....and of course for all the other fantastic deals The Home Depot was offering! 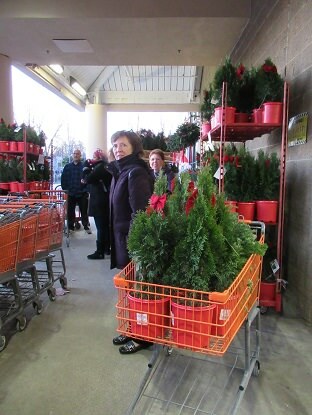 We had so much fun at the West Roxbury, Ma. 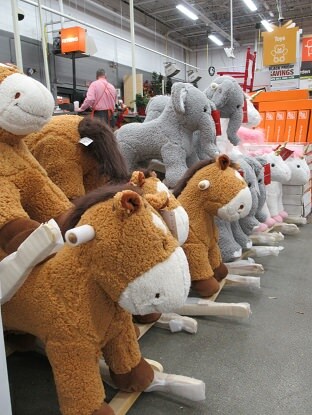 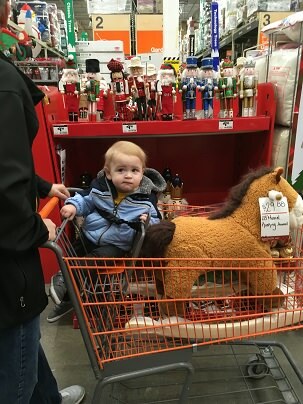 Home Depot on Black Friday, with bikes, rocking horses, unicorns and elephants, games and puzzles, beds and toys for pets, the gift selection has everyone in mind, especially someone asking for power tools, or any tool for that matter we have it all! 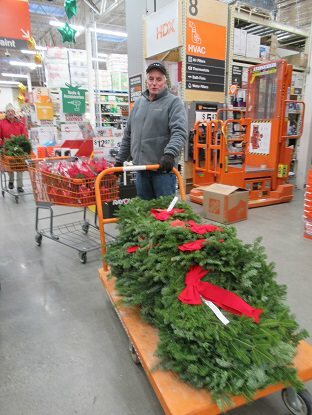 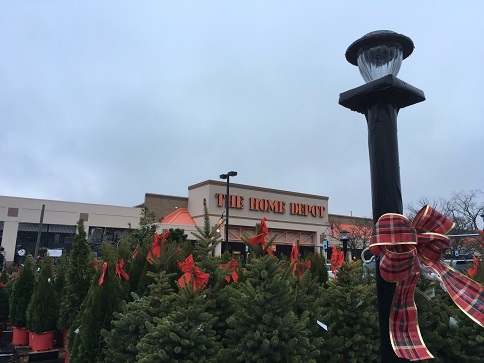 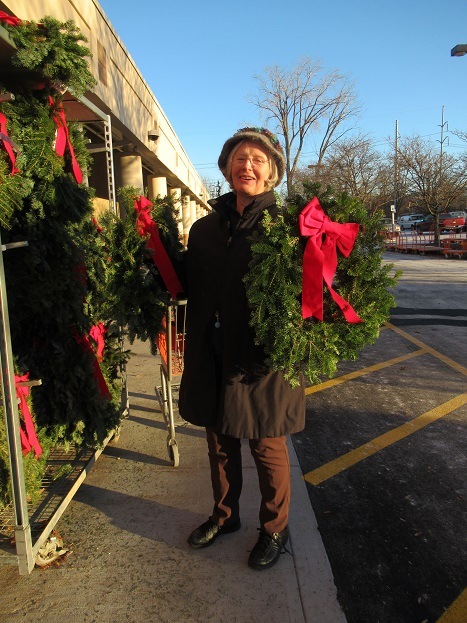 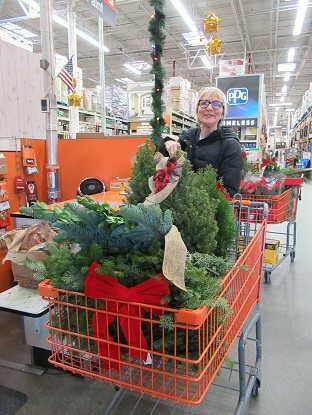 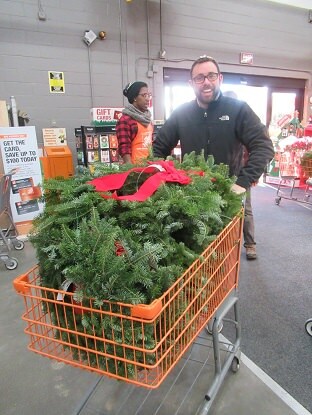 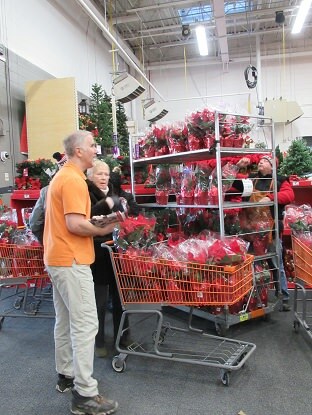 “I am here for a few wreaths, trees and greens for my window boxes, poinsettias and a Dewalt-20 max battery powered circular saw for my husband,” an early bird shopper told me, “I got it all and everyone was so nice”! 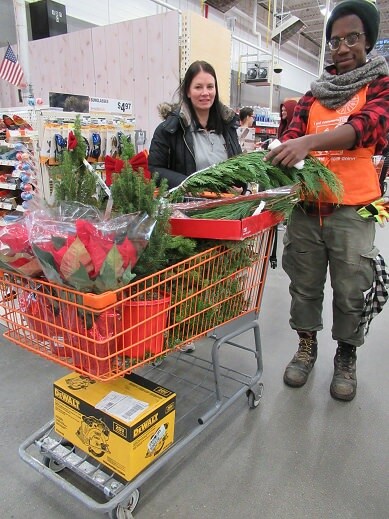 Customer service was a joy to give, all associates had maps and sale circulars for the featured items and our MET greeter, welcomed and assisted every customer as they walked through the door….It was a wonderful day! 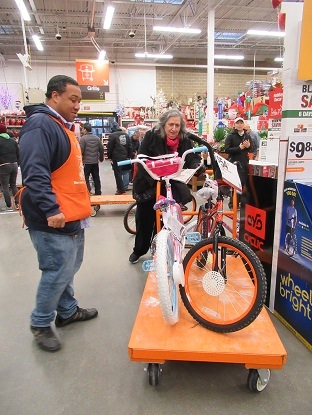 Stop by your local Home Depot it does not have to be Black Friday to get fabulous deals, we have everyday low prices with a selection of gifts that even Santa will smile about! 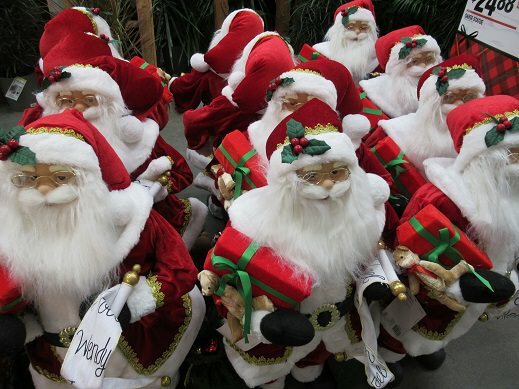 Shop by....we are here to help you with all your gift selections and holiday décorating needs!